Charcuterie, this word is like none other, especially when it is accompanied by cheese, wine and the weekend. 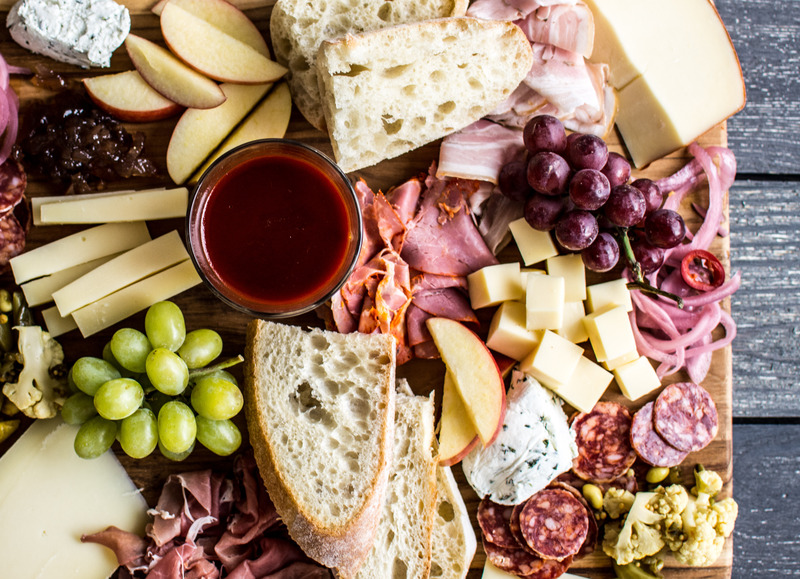 A properly created meat and cheese board is a dining treasure. There is a delightful sensation when bites of salty, sour, creamy and sweet are combined with crusty bread and sips of wine. This kind of dinner can also become a work of art, if you let it. The pink and red hues of the cured meats are offset by the creams of bread and cheese. Vibrant purples and greens pop from the fruit, while the pickles in their sour brine add an alluring texture. Each element becomes a piece in the meat and cheese puzzle. Food and art. I can ramble on about seeking beauty in food and how a charcuterie board can become a show stopping piece. It’s short lived though because it’s edible and can only be appreciated for a brief moment before consumed. That’s food art. 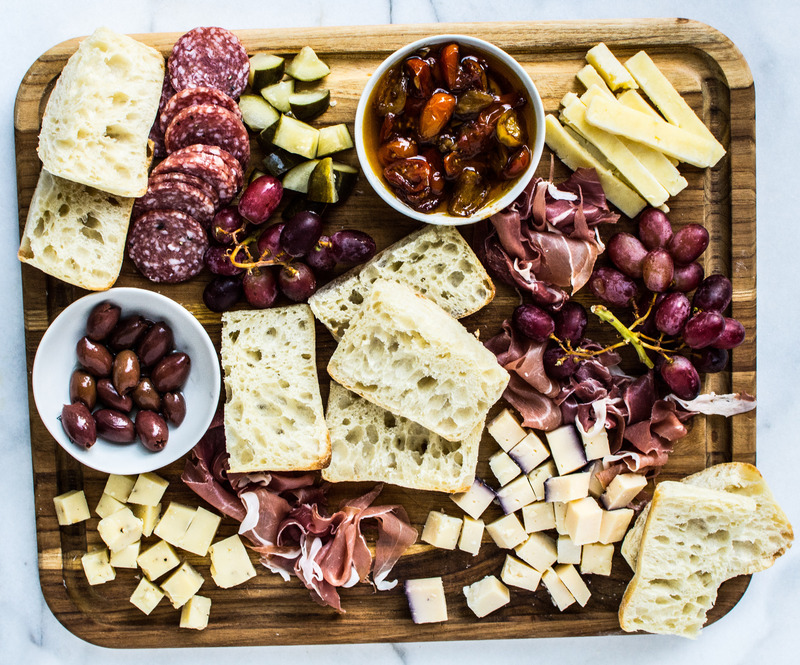 A charcuterie and cheese board can be easily tailored to feed one or many. It is a meal that invokes conversation and breaking of bread with others—a body and soul satisfying meal. 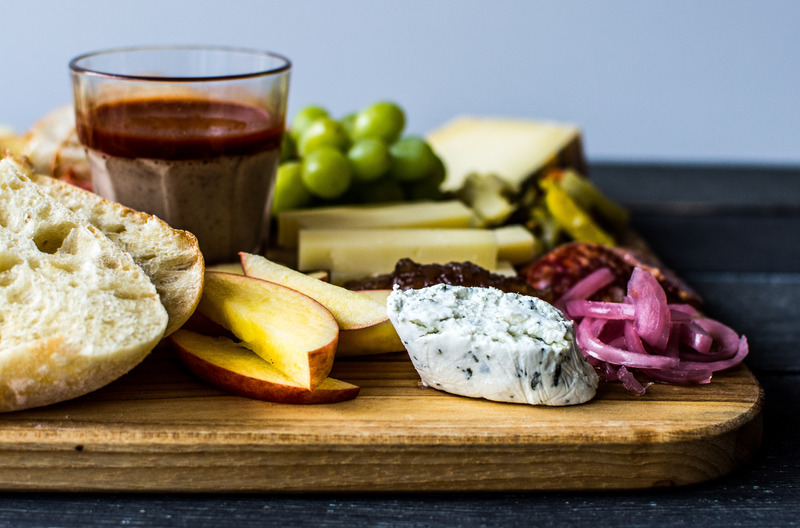 So, what makes a stand-out meat and cheese board? Aim to fill these categories: Meat, Cheese, Fruit, Vegetable, Bread Within each category make sure there is a variety of textures: hard, chewy, soft (and sometimes crunchy depending on what it is). 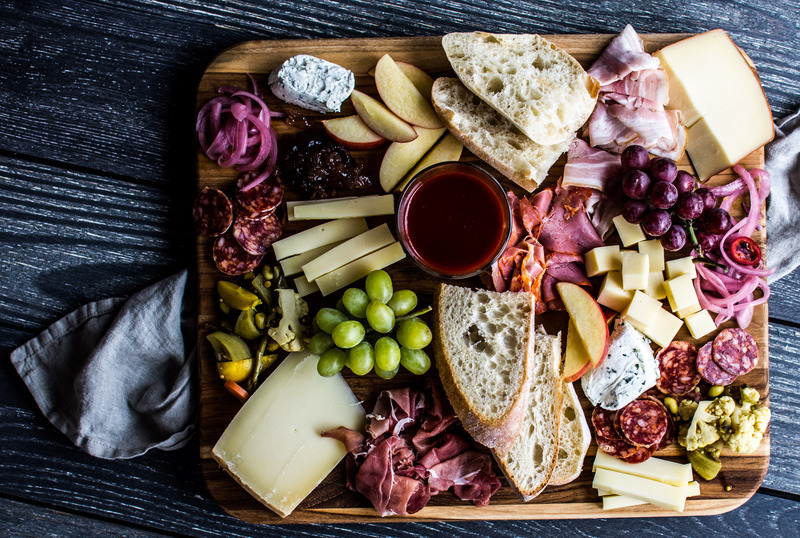 Finding all the right elements for a well-balanced meat and cheese board can feel like a treasure hunt. 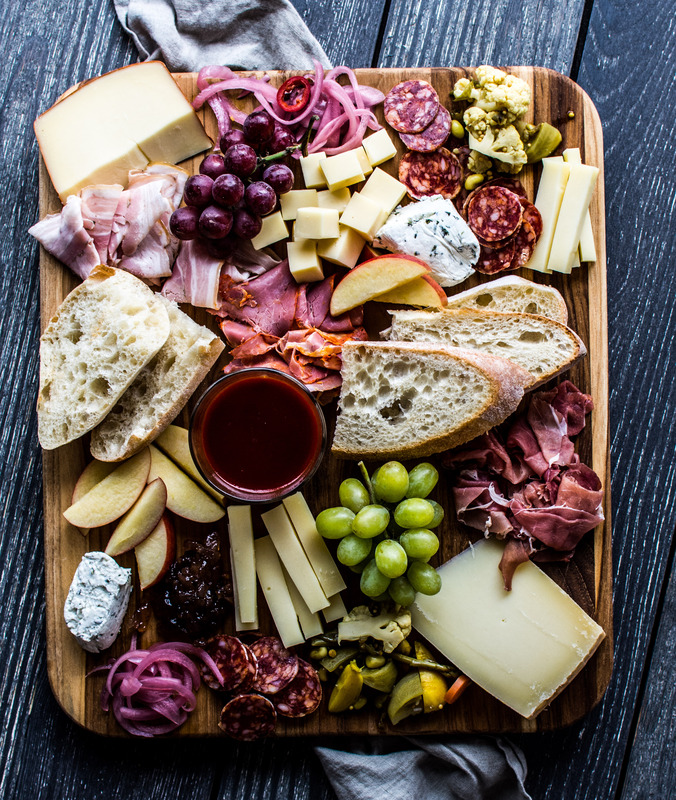 Try to hit up local hot spots to make your next charcuterie and cheese board showcase some of the best products your city has to offer. 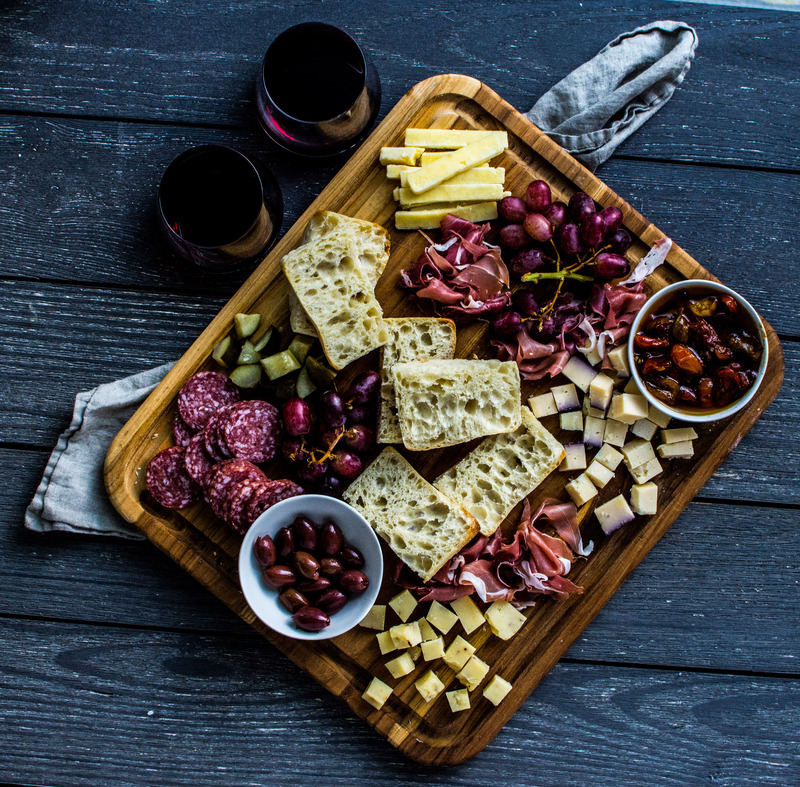 This story was featured in The Dallas Morning News, click here to watch a video on how-to build a charcuterie board. This entry was tagged A Pleasant Little Kitchen charcuterie, APLK, APLK charcuterie, charcuterie board, dallas food blog, dallas food blogger, how to build a charcuterie board, how to build a meet and cheese board, meat and cheese board, texas food blog, texas food blogger. Bookmark the permalink.